Oh Amy, you beautiful land mermaid. 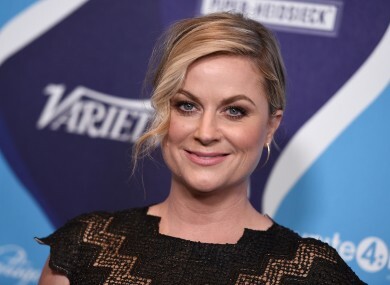 LAST NIGHT, THE NEWS broke that Amy Poehler, one of the greatest people on earth (don’t fight us on this) is coming to Dublin. She’ll be in attendance at a special event at Trinity College’s Philosophical Society on Friday where she’ll accept the Gold Medal of Honorary Patrongage. You can only get two tickets, and you must be able to prove that the person coming with you is also a Trinity Student and a Phil member. So, if you fall into that relatively narrow pool of people eligible for tickets, may the spirit of Leslie Knope be with you. Meanwhile, we’ll be joining the group of people baying for the event to be moved somewhere more suitable, like the RDS or the 3Arena, while also planning some light stalking. Email “Amy Poehler's coming to Dublin, and here's how to get a ticket ”. Feedback on “Amy Poehler's coming to Dublin, and here's how to get a ticket ”.